“We will welcome a possible visit of the Pope to Pyongyang”, said Cardinal Andrew Yeom Soo-Jung, Archbishop of Seoul, and Apostolic Administrator of the Diocese of Pyongyang. “If the Pope visits North Korea, I will accompany him”, he added, affirming that he is willing and wishes to be by his side, in this potential historical journey. As Fides News Agency reported, the Cardinal expressed this intention on the occasion of the meeting with Lee Hae-chan, leader of the Democratic Party currently in government in South Korea, welcoming the political leader in the complex of Myeongdong Cathedral, in Seoul. Pope Francis actually accepted a possible invitation to visit North Korea last month, when South Korean President Moon Jae-in sent the verbal invitation of North Korean leader Kim Jong-un to the pontiff. The Pope said that if North Korea formalizes an official invitation, he will respond favorably. No Pope has ever visited North Korea so far. 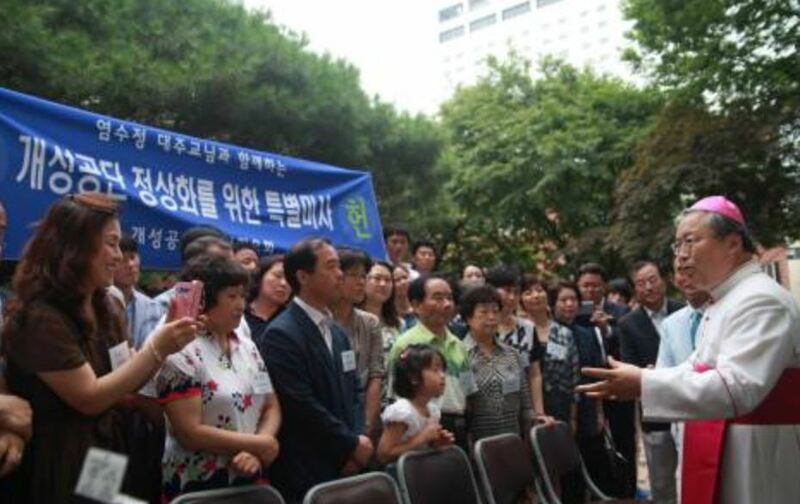 According to the South Korean government and also for the Church in South Korea, the possible visit of the Pope will help to speed up the process to restore lasting peace and reconciliation in the Korean peninsula, still divided in two, which are technically still belligerent states after the Korean War (1950-53), the last remnant of the Cold War.